Fifteen-year-old Lindy Rosen has been having nightmares for weeks, waking in a panic, screaming that there’s a man in her room watching her sleep. Her parents assumed it was her overactive imagination, but when one morning they find Lindy missing from her bedroom, they’re not so sure. Detective Jenna Alton is called in to investigate. Within hours of the schoolgirl going missing, the kidnapper reaches out to Jenna with a video of Lindy bound and tied to a chair, crying to be set free. And a simple message – you’ve got 24 hours to find her or I kill her. Jenna’s team work around the clock to try to find Lindy before the deadline, but time runs out, and Jenna receives a devastating message. The killer has made good on his promise. He’s playing a dangerous game. And no one knows what his next move will be. But just two days later, one of Lindy’s school friends is taken in the middle of the night and the countdown begins again. 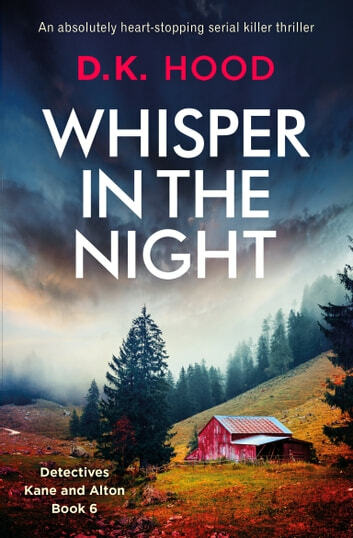 Completely addictive from the very start, if you like Lisa Regan, Karin Slaughter and Rachel Abbott you’ll love Whisper in the Night.